Planetary gear systems, also known as epicyclic gear systems, are important components in modern engineering. They are useful for speed variation and can be found in everything from automatic car transmissions and industrial food mixers to operating tables and solar arrays. With four core components – the ring gear, the sun gear and the planetary gears connected to the carrier – the idea of calculating the gear ratio of a planetary system may sound daunting. However, the single-axis nature of the system makes it easy. Just be sure to note the state of the carrier in the gear system. When calculating planetary or epicyclic gear ratios, first note the number of teeth on the sun and ring gears. Add them together to calculate the number of planetary gear teeth. Following this step, the gear ratio is calculated by dividing the number of driven teeth by the number of driving teeth – there are three combinations possible, depending on whether the carrier is moving, being moved or standing still. You may require a calculator to determine the final ratio. To make calculating planetary gear ratios as simple as possible, note the number of teeth on the sun and ring gears. Next, add the two numbers together: The sum of the two gears’ teeth equals the number of teeth on the planetary gears connected to the carrier. For example, if the sun gear has 20 teeth and the ring gear has 60, the planetary gear has 80 teeth. The next steps depend on the state of the planetary gears connected to the carrier, although all use the same formula. Calculate gear ratio by dividing the number of teeth on the driven gear by the number of teeth on the driving gear. If the carrier is acting as the input in the planetary gear system, rotating the ring gear while the sun gear is still, divide the number of teeth on the ring gear (the driven gear) by the number of teeth on the planetary gears (the driving gears). According to the first example, 60 ÷ 80 = 0.75, for a ratio of 3:4. If the carrier is acting as the output in the planetary gear system, being rotated by the sun gear while the ring gear stays still, divide the number of teeth on the planetary gears (the driven gear) by the number of teeth on the sun gear (the driving gear). According to the first example, 80 ÷ 20 = 4, for a ratio of 4:1. If the carrier is standing still in the planetary gear system while the ring gear rotates the sun gear, divide the number of teeth on the sun gear (the driven gear) by the number of teeth on the ring gear (the driving gear). According to the first example, 20 ÷ 60 = 3, for a ratio of 3:1. Flournoy, Blake. 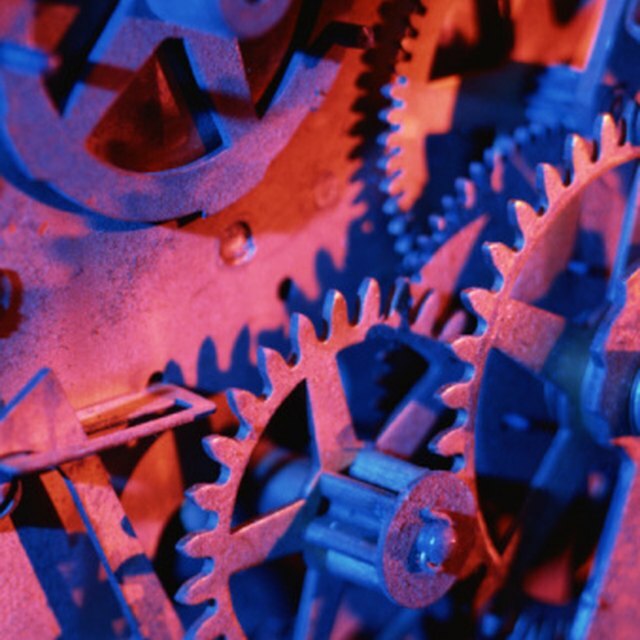 "How to Calculate Planetary Gear Ratio." Sciencing, https://sciencing.com/calculate-planetary-gear-ratio-6002241.html. 24 April 2018.